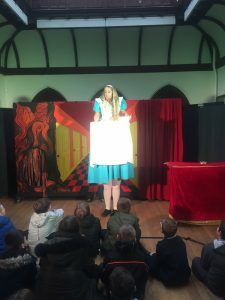 Lower school pupils at Crookhey Hall School experienced the magic of the theatre today when we were visited by the M&M theatre production company. 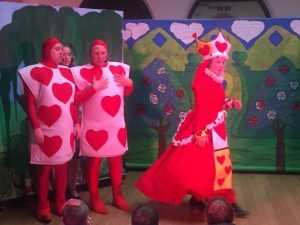 The team arrived at the start of the school day and transformed the school hall into a stage set, complete with elaborate costumes, sound and lighting and an impressive range of special effects. 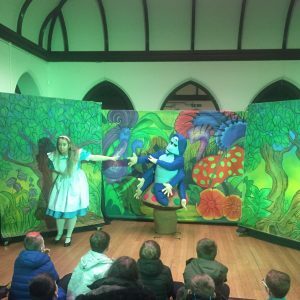 The Alice in Wonderland story was really brought to life by the team and our pupils were joined by other KS2 and KS3 pupils from our sister schools – Waterloo Lodge and Oakfield House. 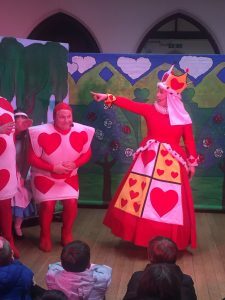 The children really enjoyed the performance and had the opportunity to chat with the theatre team after the show and find out exactly how they made Alice grow so big (she sat on the shoulders of another actor!) and how they set up the lighting and sound system. 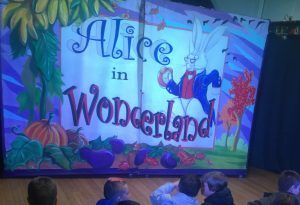 After the show, all the pupils enjoyed a Mad Hatter’s-style tea party and made some new friends. 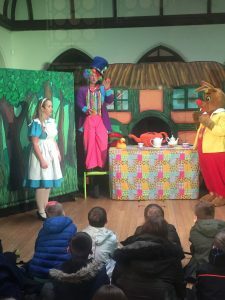 The show really brought to life one of our most well-loved English literary heritage classics and who doesn’t enjoy a traditional British tea party? !